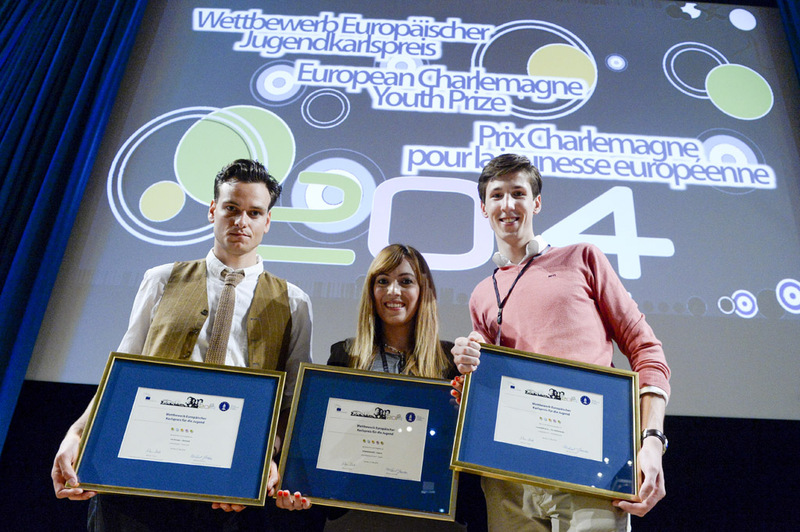 The Danish travel project Our Europe has won the first prize at the Charlemagne Youth Prize in Aachen where out of the 28 finalists the three final European winners were announced. The second prize went to the Dutch project JouwDelft & Co youth congress and the third to Employment4U, a training project from Cyprus. A team from Our Europe spent a year travelling through 24 European countries. They stayed with young people and made hour-long interviews about existential, educational and working conditions and published radio programmes, videos, articles, interviews and pictures on their website. This European youth organisation aims to find local solutions for reducing youth unemployment in Europe. Several of its suggestions have been passed on to the Parliament. It has also established a European youth network linking 10 countries. Employment4U is a youth training course hosted by Youth Dynamics, involving 26 participants from nine EU countries. The idea is to make young people more employable. The prize aims to encourage the development of a European consciousness among young people, as well as their participation in European integration projects. This is why the competition is open to young people aged between 16 and 30. The best project receives €5,000, the second €3,000 and the third €2,000. As part of the prize, the three final laureates are invited to visit the European Parliament. The 28 national winners are invited to a four-day trip to Aachen in Germany. The first prize was awarded by EP vice-president Anni Podimata, the second by former EP president Hans-Gert Pöttering and the third by Marcel Philipp, the mayor of Aachen.